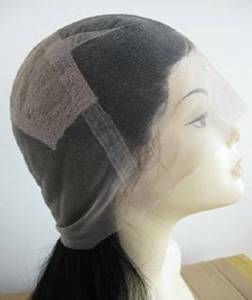 Here is the two lace wigs cap for your view. A fine lace material is used as the base where individual hairs are meticulously hand tied onto the lace. The term 'full lace' denotes that the base cap is made fully of lace, while 'lace front' wigs have lace in front and different materials at the back of the cap.Now day, The full lace wig is the most popular human hair wig. Because Great A+++ hand work. Also the customers can wear longer time. The price is little higher. If you don’t have enough money you may choose the lace front wig. 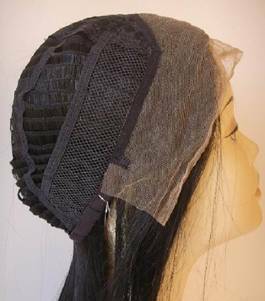 See the cap above, It is lace in the front and wefted back. When you wear it , it is just the same as the full lace wig. Of course the price is quite lower then human hair full lace wig. Customers offer the hair for the full lace wigs?